REVIEW: BUTTERFLY ON MORRISON - I Blog, Therefore I Am. I am really terrible with this blogging thing! I've been busy (as always) and quite uninspired lately to write any decent post. I still owe myself a lot of blogging thoughts and reviews from our wedding. We've been married 8 months already, and I only did a couple of posts about it. Now on to the honeymoon! Instead of having a one-time-big-time honeymoon, Witt & I decided to have small trips and staycations throughout the year. We already had a mini-vacay last May in Hong Kong, and we are planning to go to Boracay and Japan later this year. 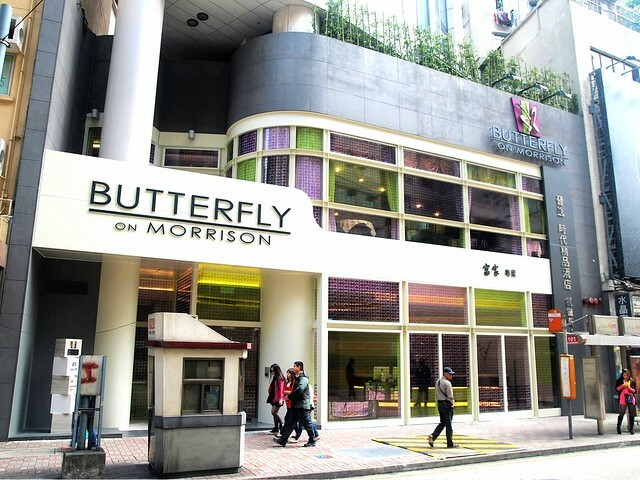 One of the things I loved in our Hong Kong trip was the boutique hotel we stayed in: the Butterfly on Morrison. I now prefer modern boutique hotels or AirBNBs as opposed to big grand old hotels of the past. We were able to book the hotel via Agoda, and the transaction was quick, easy, and they even threw in some promotional discounts. Butterfly on Morrison is a very nice boutique hotel. We've been to Hong Kong a lot of times but this is the first time we stayed in the Hong Kong Island part. We usually stay in Kowloon (TST, Jordan, etc.). 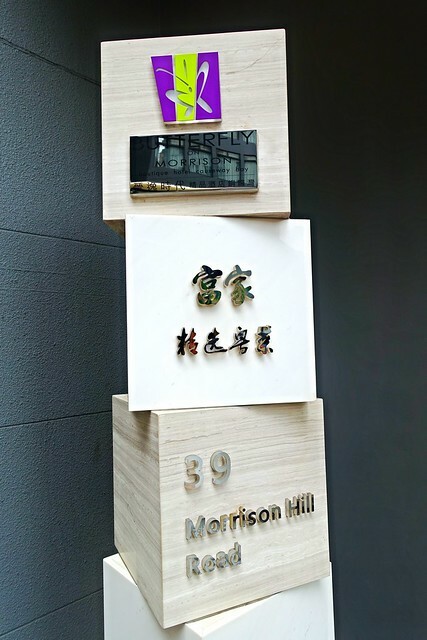 The hotel is located at Morrison Hill Road in Wanchai but it's very close to the boundary and happenings of Causeway Bay. The hotel is very modern with only four (4) rooms per floor. We booked the Deluxe City View room but got upgraded to the Business Class Room (it pays to be honeymooners). The room is a corner room, so we got to enjoy two (2) floor-to-ceiling glass window with a beautiful view of the Happy Valley Racecourse, Central's high-rise buildings, and Wanchai's residential mountain lane. The room is not very big, but it's pretty okay for Hong Kong standards. The bathroom is modern and is quite nice. It's also big compared to the other baths I've had before (again by Hong Kong standards). They have a separate shower area from the main bathroom with a very nice flow of water from the rainshower head. Towels and other amenities are also changed every day if requested. 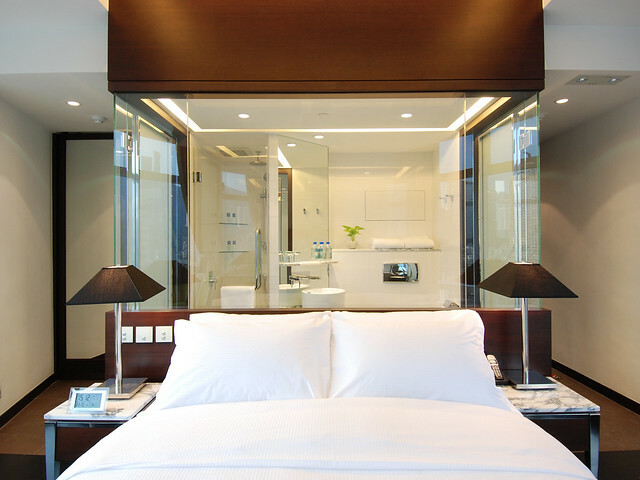 The bathroom is made of glass and is see-through (with curtain provisions), so it might be weird for non-couple stays. Hehe! The service is good, and they act and respond well to requests. We asked for several things like extra utensils and plug converters, and they were quick to reply. Housekeeping is constant and consistent every day and they provide complimentary water each day. The in-room wifi was high-speed and unlimited. They also offered us a mobile phone with unlimited data for our stay which can be brought outside for our data and Internet needs. We did not use it since we were already subscribed to Smart Surf Abroad (data roaming), but it was still a nice touch of the hotel for their guests. The location of the hotel is very accessible to public transport. We rode the Airport Express from the Hong Kong International Airport to the Hong Kong Station ($21.92 for 2) and hailed a cab from the terminus to the hotel ($6.45). The HongKong Tram - those vintage double-decker trains that go around Hong Kong Island - is just a 2-minute walk while the nearest Causeway Bay MRT Exit is just 9 minutes away. We usually enter/exit through Times Square. The heart and center of Causeway Bay is very the hotel. It's only 9-12 minutes away from favorites like Apple Store Causeway Bay, Times, Square, Sogo, Hyan Place, and Ikea. The area of the hotel is a little bit quiet especially at night compared to the hustle and bustle of Tsim Sha Tsui in Kowloon. 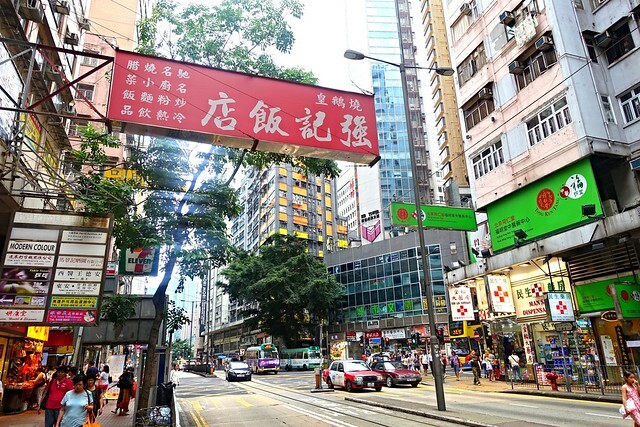 It's not as touristy compared to the other Hong Kong streets, yet it's just a few walks away from where the action is. One of the things I genuinely love about Butterfly on Morrison is its proximity to Dimdim Sum. Dimdim Sum is arguably one of the best dim sum places in Hong Kong (or the world!). It's just a 2-minute walk from the hotel, and we got to try it twice in our stay. It's a must-try and must-visit for dim sum foodies! We spent around Php 4,300/night ($92) in Butterfly on Morrison. Agoda gave us an excellent deal compared to the hotel's published rates. Photo Credit: Photos 2 & 3 are from the Butterfly on Morrison page.